We had a difficult divorce because there was a child involved. My husband. I didn't want custody. 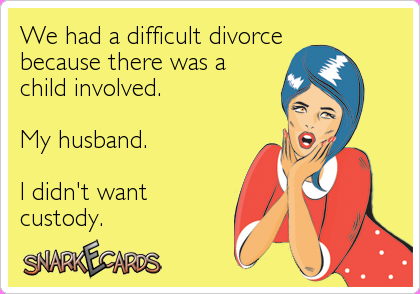 We had a difficult divorce because there was a child involved.